This is a clear example of real ERM thinking. For at least 40 years, pension plans have been investing in equities and they have claimes that since they have a long investment horizon, that they were immune to concerns about the fluctuations. But what has happened instead is that company after company has built up a very large equity exposure. If they figured their real corporate risk profile, management would see how exposed that they are to stock market risk. Ford did some real ERM thinking when they realized that their business risk was fairly highly correlated to the stock market. So by investing their pension plan assets in the stock market, they were assuring that investors would see their pension plan funding levels faulter just when their business was sputtering. There are two aspects of real ERM thinking here. First, Ford looked past the fiction of the separate pension fund to realize that the company was really exposed to the risk of equity fluctuations. Second, they realized the true correlations that face their business and its risks. Risk managers need to think outside the lines that we draw just like Ford did. The banks did not do that when they lent money to hedge funds to purchase Mortgage CDOs. Risk managers need to look for risks that are likely to hit together and prepare to reduce the likely impact of the combined risk exposure by whatever means makes the msot sense. Firms employ external funds to finance business operations. External funds differ by the required or expected return that investors need, when (or if) the funds need to be paid back and the order in which they are paid back. Leverage is the utilization of assets or funds, for which the firm has to pay a fixed charge or fixed return. To start my latest business venture, I need 1,000 dollars. I can borrow 500 dollars from my friends and invest 500 dollars from my own account. The friends 500 dollars need to be paid back in two years and I need to pay them 50 dollars a year for lending me the money. When it comes to using the 1,000 dollars, I have two choices. I can go the local hardware store and buy a new laptop for my business for 800 dollars or I can lease it from the same store for 20 dollars a month. The second option is very attractive since it leaves the bulk of the 1,000 dollars with me for later use. The business still owes 800 dollars to the store, but that obligation can now be settled over a three-year period. Using leverage I did two things that would not be possible by using just my limited resources. I doubled the amount available for use by the business and then made the amount last longer. First, the level of debt determines the interest expense a business has to bear before it can pass on its earnings to shareholders. Interest expense is also a fixed cost and a business has to make interest payments irrespective of the level of production or profits. Second, leverage increases the upside as well as the downside for a business. In profitable situations, leverage boosts the Return on Equity and in non-profitable situations it decreases the Return on Equity. Higher leverage leads to higher risk as well as higher return in good times. But in bad times, higher leverage leads to bigger dents in profitability and Return on Equity. Ultimately, there is a tradeoff between the beneficial impact of leverage (the ability to earn more returns) and the risk enhancing effect of leverage (the impact on fixed costs due to interest payments). Businesses fail miserably when they misread this tradeoff. Costs incurred by a firm can be divided into fixed and variable components. Fixed costs are those that will occur irrespective of the level or volume of production (units produced). A firm will incur fixed costs even if nothing is produced. For example, if you have leased equipment for production, you will have to pay these lease payments irrespective of whether you produce or not. Variable costs are those that are not incurred if no production takes place. They only occur when production begins; these costs vary with the level of production. For example, direct labor costs and raw material costs depend on the level of production. The relationship between fixed costs, variable costs and the level of production is the Cost Function. Cost functions may be linear (directly proportional to the level of production) or non-linear (costs may increase more than the unit increase in production or vice versa). Relevant range of production is a given range within which the business can operate without needing to change its cost function and more importantly, its fixed costs. For example, Firm A can produce between 25,000 to 50,000 tennis balls per month given the current plant capacity. Fixed costs for producing anything between 25,000 and 50,000 are $ 90,000 per month. If a firm decides to produce more than 50,000 balls, it will have to install additional plant equipment as well as upgrade related facilities, which means that it will incur additional fixed costs. Therefore, in the example above, the ‘relevant range of production’ is 25,000 to 50,000 tennis-balls. Fixed expenses or costs that a firm incurs, which have an effect on the operations of a firm. For example, a business has to incur maintenance expenses to keep a plant operational or pay salaries or rent to keep the office open. These costs will be incurred irrespective of level of operations or production. Fixed charges that result from taking on debt. Top of the list are interest expenses & lease payments. Once again, it doesn’t matter if anything was produced or not, these payments would still need to be made. Fixed costs, financial or operational, increase the risk of a business. When a revenue downturn occurs, variable cost – cost directly related to revenues, also reduce proportional (the reason why they are variable costs). Fixed costs, however, remain at the same level. For a healthy business this may mean a big profitability problem or a switch from generating cash to consuming cash. If the revenue downturn is temporary, and adequate reserves exist, most businesses survive. For not-healthy businesses, the picture is not so pretty. A reduction in revenues may lead to change in control (management), credit downgrades, financing problems and even bankruptcy. Operational and financial leverage help us understand how a business uses leverage. The key theme in both categories is commitment to fixed charges. Managers as well as investors need to understand these concepts to manage the downside risk of a business or investment. Both these concepts use numerical data from the income statement. Remember, that most of the expenses shown in the income statement can be classified as being either fixed or variable. For a discussion on operating and financial leverage it is important to understand what fixed and variable costs are and how they interact to affect the operations of a firm. Disclaimer Riskviews has no financial connection to Four Quants. Enterprise Risk Management is about taking actions to enhance the sustainability of an organization. No one would think seriously about building their company headquarters on the edge of an active volcano. 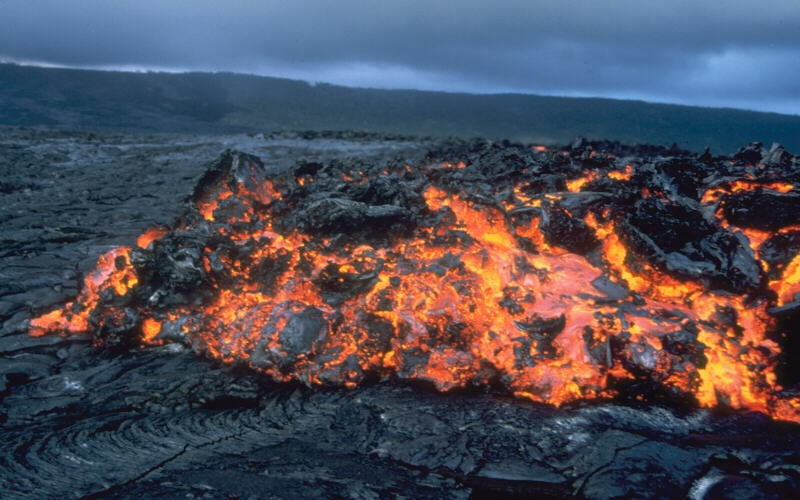 But what if one day you are hired to run an organization that is located in the expected path of the volcano lava flow? To reduce your risk and enhance your organization’s sustainability, you could decide to move. Sounds fairly sensible doesn’t it? However, in many cases, the organization that expends its resources to move away from their volcanoes is seen to be LESS valuble than the organization that ignores its volcanoes! That is the most dangerous idea. The organization that moved away from their volcano is seen to be making a bet that the volcano will erupt. And if the volcano does not erupt, they are seen to be losing their bet. Management is seen to have poor judgment. Meanwhile, their next door neighbor who did not move away from the volcano is seen to be managed by astute businessmen. They did not waste the organization’s resources. They can instead put the money to a share buy back. Evaluation of organization’s value rarely takes anything into account except upside potential. There is an implicit assumption that the risk of all firms is similar. Mostly unfathomable acts of god. And you can’t blame management for missing those. But that is mostly a problem with bad framing. Re-read the short discussion above. There is a huge framing problem here. Building on the lip of a volcano is seen to be massively over risky. No one would do it. But moving away from a volcano, which involves walking away from a sunk cost, is thought of completely differently. Almost totally opposite. That mindset mainfests itself inside an organization as well. Invariably, anyone who has in the past not done anything about a risk finds that actually treating the risk is too expensive. There is a conceptual issue about risk here. Some believe that not recognizing and not managing a risk is the “natural” state of operating and recognizing and managing a risk is unnatural, exceptional behavior. ZURICH—In another move to rein in compensation, UBS AG notified employees it will claw back part of the bonuses due to its best-paid investment bankers, according to a person familiar with the matter. The action by Switzerland’s largest lender by assets is likely to further upset some top employees at a bank that already has faced problems retaining top talent and is now in the midst of a revamp of its investment bank. The UBS board has decided to take back 50% of share-based bonuses awarded last year to investment bankers whose bonuses exceeded two million Swiss francs. A claw back of bonuses. This totally changes the risk reward for employees. Banker pay is shrinking. See Forget the big bonuses; a pay squeeze is coming. Tett puts banker pay into a very long term historical perspective. It seems that banker pay was previously so high – and is it a coincidence that was right before the Depression. The reason why banker pay matters so much is that finance does not follow the same economic laws of supply and demand as physical goods. Many people talk as if they do, but there is at least one major difference that was clearly evidenced in the run up to the financial crisis. Scarcity does not apply to financial goods. So there is no natural limiting feedback loop. Remember what happened with CDOs related to mortgages? When demand went up, price didn’t. Supply leaped instead. Synthetic CDOs filled the need and there is an unlimited supply of synthetic financial assets. The amount of financial goods compared to the rest of the economy is therefore totally flexible. Think about it for a minute. The world cannot be any more wealthy because there are more financial goods. The sole result of the expansion of financial goods is to tilt the ownership of the wealth of the world away from the real economy and towards the banks and others in finance. Limiting banker pay limits the incentive to inflate the financial system. Clawbacks means that when the bankers and others in finance do manage to push those financial goods up anyway, any excess compensation that results can be recovered when the excess of financial goods reverses itself. So both of these measures are Risk Management for the Real Economy. With a house, you always hear that the value is whatever someone is willing to pay for it. But with a house, that value setting transaction is usually for the whole thing. Partial shares of houses do not usually trade on the market. So with a house, there are long periods of time when the actual value of the house is an unknown value. It is usually reasonable to use a process of comparables to value the house. Partial shares of companies, on the other hand, are traded on open markets. That gives us a Price to use to impute a value to the ownership shares that are not traded. The theory is that the shares are all worth the same amount. The total reliance of modern finance and accounting on traded Price is credited with major improvements in the way that we understand business activities. But there are unintended consequences of this shift. And traded Price has never been a perfect measure. The major fact that should make users of finance and financial statements pause is that when there is an acquisition of a company, the buyer does not rely upon finance theory about market values to set the final price of the transaction. They rely upon boots on the ground fundamental analysis of the firm through the process called due diligence. And at the end of that process, there is almost zero record of any firm selling for anything like the market price that existed before the acquisition process became known. The buyer of a firm knows more than the market and pays a different price than the market. But if traded Price was really what the proponents of its ubiquitous usage say, then the wisdom of the market crowd should have arrived at the same amount. But it never does. You can think of it as the market spinning its own myth of the value of a firm and running around trading small lots of stocks that may not have any real impact on the actual transactions for the control of listed firms. What does that mean for a risk manager? It means that reliance on traded price is risky. Traded price is more like a mock casino night. Everyone pretends like the traded price is the real value of the firm but everyone knows that at the end of the night it is all just a game. Why is that risky? Because, like any game, trading shares can be suddenly discontinuous. The value of a firm is the amount of profits that it can create in the future. Don’t let any traded price enthusiast tell you anything different. Those traded price folks tried to sell the idea that a house was worth whatever someone would pay (with someone else’s money). But in reality, the house can only be worth an annuity on a fraction of the earnings of the folks who live there. Traders can temporarily come to a different conclusion. And they can give each other Nobel Prizes for creating clever math around their mock casino night. The position of Chief Risk Officer is perilous. Just watch Demi Moore get fired in Margin Call. She said that she had sounded the alarm about the risky trades that were the main topic of the film a year ago. But her warnings were obviously not heeded and when things turned out poorly as she had warned, she was fired as the scapegoat. Just read the stories about the two Chief Risk Officers at MF Global. Both of them sounded alarms about the trades that eventually bankrupted the firm. Roseman left over the issue. Stockman is testifying to Congress about exactly when he determined that the trades were too risky. Riskview suggests that they have it all wrong. Corzine is the one who is responsible for the risk management of MF Global. No one is suggesting that Corzine was ill served by his CRO. Instead, the discussion suggests that the board should have listened to the CRO and not the CEO. Easy to say in hindsight. But in fact, the CRO is an agent of the CEO. If the board sets up the CRO as their agent within the firm who can trump the CRO, then the board is overstepping its role. If the board does not like what the COE is doing, the board has the responsibility to replace the CEO. If the board wants to know more about the risk of the firm than the CEO wants to tell, then the board should not be going around the CEO to people who work for the CEO. Congress should be talking to the board members who repeatedly approved Corzine’s decisions. The CRO is now being used as a scapegoat by the board and by congress. The position of CRO at a firm that does fail is even more perilous than usual for that position. When the firm fails or comes close to failure, the CRO can become the scapegoat for failure to act. And the fact that the CRO did not have the authority, does not change that process at all. That is because there is a myth that the CRO is in charge of preventing bad things from happening. That is not the case. The CRO job is to make sure that management has the tools and the people and the information to prevent bad things from happening. Only if the CRO is set up as someone with MORE authority in the organization than the CEO should the CRO be held responsible when bad things that they did warn about do happen.